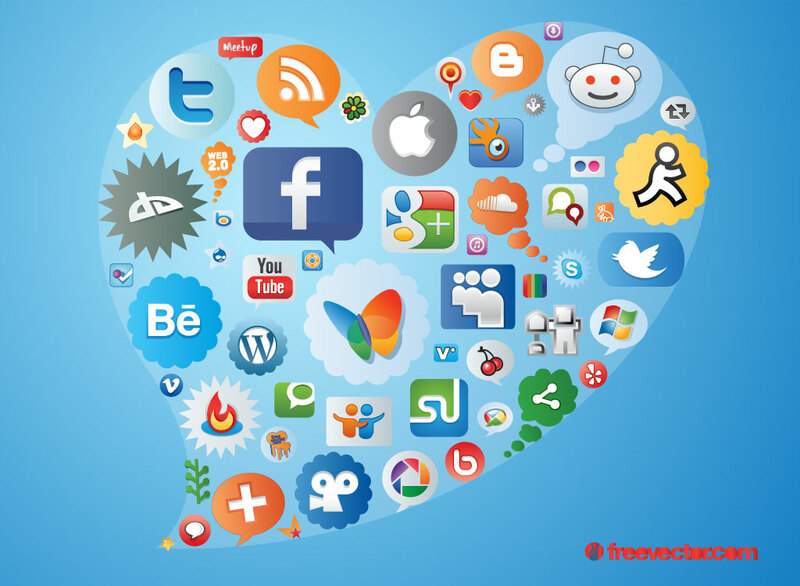 Download this set of social media logos and icons laid out on a heart shape. Use them separately for all your purposes leave them as a poster or wallpaper. Tags: Flickr, Icon, Network, Promotion, Skype, Social Media, Twitter.